Some do not understand the Judaism they claim to be upholding – some, including certain Torah centers which have failed to grasp the Torah’s essence. We have but one holy place. All other places may be mortgaged, sold, replaced. Old synagogues may be sold in order to bedeck a bride. One spot that has inherent holiness. Maimonides and other thinkers in the Middle Ages referred to the substance and its properties. The substance is the object itself. The holiness of the Temple Mount is the Temple Mount itself; the Temple Mount is itself holiness. When holiness is a property or characteristic, as it is with all other holy places, it can be attached or removed. This is the difference between having holiness and being holiness. The mystical book Sefer Yetzirah notes three things capable of holiness: The physical world (extension or places), time and spirit (people). People – as for instance the nation of Israel is called a Priestly Kingdom, a holy nation. And the holidays of Israel are the Mikraei Kodesh – the times proclaimed holy. This type of holiness is proclaimed by a Beth Din , a rabbinical court – which, as a matter of fact, used to announce the dates of the holidays from the Temple Mount. Rabbi Joshua, the greatest sage of his time, once even had to accept the seemingly erroneous ruling of President Rabbi Gamliel on the date of a holiday – because the ruling of the President is that which determined the holiness. On the other hand, there is a type of holiness dependent only on time, no man or Beth Din can affect it: The Sabbath, which was created together with nature and the world. Her holiness is self-contained and therefore similar to that of the Temple Mount. Israel’s holiness as a nation is also self-contained, as explained by Rabbi Judah Halevi in his Kuzari. Thus, three things are capable of holiness: place, time, people. And holiness can be, with each, a removable or an unalterable essence. The one place the essence of which is holiness: The Temple Mount. So too the Sabbath and the People of Israel. What is Judaism without the Temple Mount? We fool ourselves into believing that Behold! Jerusalem is being rebuilt, the city is full of places of Torah study. But something is missing. Judaism's purpose is: the Kingdom of G-d being established in the world. G-d is King of his world. G-d is King forever. When Egyptians are pursuing Jews during the Exodus, and the Jews cry and the sea miraculously splits, what do Moses and Israel sing? "You will bring them and plant them on Your own Mountain, the place which You have set for Your dwelling, Oh L-rd, the sanctuary, L-rd, which Your hands established. The L-rd will reign forever and ever." As long as the site of the Temple is captive and held by goyim, Judaism has in no way reached its goal. The pinnacle of the Nation of Israel is the Temple Mount, the Temple site. "The L-rd will reign forever and ever." - the purpose of the Nation of Israel is to enthrone G-d in His world. How? The people chosen by the Creator of the world ("You have chosen is from among the nations") has as its task the enthroning of G-d. When Israel is sovereign, G-d is sovereign. When Israel lacks sovereignty, the Divine is degraded. As it is written, "I am with you in distress," and "the Exile of the Divine." The rise of Divine Presence (Shechina ) and the sovereignty of G-d in the world are bound to the rise and greatness and sovereignty of Israel. The two are inseparable, identical. There is no difference between G-d’s throne and the throne of King of Israel. We fail to grasp this, we and great sages and students of Torah and members of Torah councils do not realize that this is Judaism. 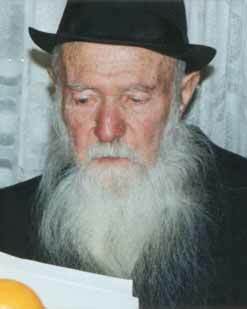 If a man does everything but bring holiness, but bring Malkhut Israel (the Sovereign Kingdom of Israel), but bring about the uncovering of the Divine Shechina that is Malkhut HaShem , the Sovereignty of G-d, in the world – and this through the Sovereignty of Israel - then he has not yet attained to Judaism’s purpose. This point is neither studied nor taught today, that we can restore our sovereignty only by having the Temple Mount in our hands. Sovereignty over the Land of Israel is impossible while the Temple Mount is in the hands of a (any) foreign religion. The Temple Mount must be in the hands of a Sovereign Kingdom of Israel, to give expression to G-d’s sovereignty over Israel. This is brought out all through the Bible, all through our literature and thought. The Mountain of the L-rd is brought to our attention by our patriarch Abraham. As for the future, Isaiah and Micah prophesized that in the End of Days the nations of the world will come to learn the ways of Jacob, saying “We will walk in the light of G-d” and “Let us come and go to the Mountain of G-d, to the House of the G-d of Jacob.” They will get there, to that Mountain, and ask Him to teach them His ways. Imagine them arriving there – and not finding us! What if they found that they have gone to the Mount – be we have not? In stark contrast to our behavior, the Midrash Raba tells of a king who loved his son very much. The son said: If you give me your throne everyone will know you love me. If you have not given me your throne you have not given me anything. Chutzpah ! The king was prepared to give the whole kingdom, but the son wanted the throne. His great love led the king to give his son the throne and satisfy him. Thus the Midrash tells of Abraham, who had received the whole world from G-d, yet said: If you haven’t given me the 500 square cubits of the Temple Mount, you have not given me anything. And G-d gave him this spot, The Abraham said: “G-d has spoken, I will rejoice in sanctifying Him.” When G-d made a covenant with Abraham promising him the Land of Israel Abraham refused to accept the land without the Temple Mount. Why? Because the central point had to be the Foundation of the World, the Foundation Stone which is the center of the Temple Mount, and there Malkhut Israel must be established, Malkhut Israel, which is also Malkhut Hashem. This is a cosmic matter. We cannot of our own volition give up this spot now that it is finally in our hands. For 2000 years it was kept from us – “Because of our sins we were exiled from land” – we were able only to stand at its boundary by the Western Wall, and there to spill out our hearts. During the Six Day War, the Temple Mount finally became ours again, yet we turned around the next day and told G-d to take His gift and throw it to the wind – this is chutzpah. Is this the way a chosen people act towards its G-d? When Solomon completed construction of the Temple he said that all the peoples of the world will come and G-d will hear their prayers. Because this is the universal place of prayer. Zacharia prophesized that G-d will return to Jerusalem, the Holy City, and the Mountain of G-d, the Holy Mountain. We – the People of Israel – have known this for thousands of years. Everything is flowing towards, leasing to this central point where the Divine Presence lies and where our Kingdom must be, and without which there can be no kingdom of G-d. There have been Jewish sages in every era who have ruled halachically in favor of ascending the Temple Mount, and many did ascend and pray there. Maimonidies wrote a special prayer when he reached the ruins of the Temple on the Mount. Today distinguished rabbis such as Rabbi Goren, Rabbi Chelouche, Rabbi David Halevy and Rabbi Shur Yishuv HaCohen advocate Jewish prayer on the Temple Mount, an act currently forbidden by the Muslim Arabs the Israeli government has left in control of our Temple Mount. Rabbi Katzenbogen writes that we have entered into a strange, tragic situation, ironically after our military victory. Yes, the Temple Mount is in our hands, but what is our role there? Our role is to ensure that the impure stay there and to prevent the pure from entering. This is absurd. Rabbi Akiva's friends wept when they saw one fox leaving the Mount. Today we see so many "foxes" walking there and yet we remain apathetic. We are forgetting the Temple Mount. We celebrate Bar Mitzvahs at the Western Wall. The government's Ministry of religions watches over the Western Wall, but not over the Temple Mount. The returning Babylonian exiles understood - Zerubavel's first act was to take the Temple's utensils and to rebuild the Temple. Officers of other nations came and said: we will be partners, we are for brotherhood, we will be together. The answer was unequivocal: Not for you, but for us to build the Temple. This is the House of Malkhut Israel alone, the nations of the world cannot be partners. Once it is built, then foreigners will come from all over the world to worship and the House will indeed be open to them. So those officers sent informers to Persia and construction was stopped until Nehemia came on the second wave of aliyah and, dividing the work with his brother Hanani, they first built the walls. No time was wasted in setting to work on the Temple. The Hashmonaim, too - when the few defeated the many, their first wish was not to build the state - as we are doing today - but to liberate the Temple. Judaism's only eight day holiday is in honor of this - see its importance! Passover, Shavout, Succot are all important and tremendous holidays but on Hannuka we recite the Hallel prayers for eight days. This holiday is called Hannukat Beit HaMikdash (the inauguration of the Temple). It was the inauguration of our independence in the Land of Israel, but we call it Hannukat Beit HaMikdash because this means the inauguration of independence, the inauguration of the Jewish State. Thus, whoever thinks he understands and grasps Judaism without the centrality and ultimate importance of establishing the Temple, does not properly understand Judaism. He may be the Gaon Hador and a sage of Israel, but we will not learn from him the purpose of Judaism. One of the questions posed by the Kuzari is: Why do the Jews not go to Eretz Israel ? The Jew's answer is: I am ashamed, King of the Kazars, you are right! Till then the Jews had correctly answered hundreds of questions, but this one he answers with "I am ashamed." Because of the Gedoli Hador , the great sages who did not want to leave Babylon, who believed they could preserve Judaism without the Land of Israel and without the Holy Temple, it was ordained that the Second Temple would be a temporary rather than an eternal building. The Jew answers the question: What was the Temple destroyed? by quoting Resh Lakish's Talmudic criticism of the Babylonian Torah sages who did not join Ezra and Nehemia; Ezra and Nehemia journeyed forth with Jews who had intermarried, who reached Jerusalem and chose the Sabbath for market day, they were that unaware and unknowledgeable. The Torah personalities stayed behind in Babylon and they, they were responsible for the impermanence of the Second Temple! How long will we continue on paths we know to be wrong?